Arturo A. Schomburg Satellite Academy is what is known in New York City as a transfer school, a small high school designed to re-engage students who have dropped out or fallen behind. This academy occupies two floors of a hulking, grey building that’s also home to two other public schools. For the most part, Gonzalez told me, the kids who come here genuinely want to graduate, but attendance is their biggest barrier to success. On the day I visited, one of Gonzalez’s students had just been released from jail; one recently had an abortion; one had watched a friend bleed to death from a gunshot wound the previous year. Between finding money to put food on the table and dealing with unstable family members, these students’ minds are often crowded with concerns more pressing than schoolwork. It was Kabat-Zinn who first formally brought mindfulness into a medical setting; he developed the Mindfulness-Based Stress Reduction (MBSR) program, which used specific exercises to help patients dealing with chronic pain and is now widely applied in other therapeutic contexts, and founded the Center for Mindfulness at UMass Medical School. Mindfulness has also been harnessed in increasingly diverse contexts beyond health care—some uses more legitimate than others. Last year, the Congressman Tim Ryan introduced mindfulness into weekly staff meetings on the Hill, Time published a cover story on the topic, and CNN’s Anderson Cooper dedicated a primetime segment to showcasing his own transformative experience at a mindfulness retreat center. Google, General Mills, the Seattle Seahawks, and the U.S. military have all embraced mindfulness as a means of boosting performance and productivity, while its potential as an antidote to the distractions and stress of everyday life is increasingly promoted within the general population and has spurred a cottage industry of books, magazines, and smartphone apps. Even when the concept of mindfulness was created it was slightly nebulous; now, as it is reappropriated and circulated in the media, it has become even more so. The lack of a universal definition for mindfulness, along with its increasing association with celebrity and vague implications of spirituality, health, and happiness leave some skeptics dismissing it as a superficial, hokey fad. Mindfulness is widely considered effective as a treatment for children and adolescents with aggression, ADHD or anxiety. Still, the body of scientific research illustrating the positive effects of mindfulness training on mental health and well-being—at the level of the brain as well as at the level of behavior—grows steadily more well-established: It improves attention, reduces stress, and results in better emotional regulation and an improved capacity for compassion and empathy. Brain-imaging studies at Harvard and Mass General Hospital have shown that long-term mindfulness training can help thicken the cortical regions related to attention and sensory processing, and may offset thinning of those areas that typically comes with aging. Mindfulness is widely considered effective in psychotherapy as a treatment not just for adults, but also for children and adolescents with aggression, ADHD, or mental-health problems like anxiety. The first major effort to use mindfulness in schools began in the UK in 2007 with a series of fixed lesson plans delivered in classrooms across the country. Interest in the movement has picked up pace since. This past July, Oxford researchers announced plans to launch a large-scale, seven-year, $10 million study on mindfulness in education next year. More than a dozen similar initiatives have sprouted in the U.S., grassroots programs that train teachers in mindfulness and generate their own curricula. Among the two largest are MindUP and Mindful Schools, the California-based nonprofit that trained Gonzalez, which continue to spearhead the country’s steadily growing, but piecemeal, mindfulness-in-education movement. Since its founding in 2010, Mindful Schools has trained thousands of teachers through its online programs, most of them in California, New York, and Washington, D.C., who are said to have a total reach of 300,000 students. After Gonzalez and his wife signed up for one of their six-week courses—Mindful Schools’ training is open to any educator or mental-health professional who wants to teach mindfulness to young people—he was able to convince his school administrators to help him pay for a year-long certification program. Through a series of online lectures, weekly breakout sessions, monthly meetings, and two week-long summer retreats, Gonzalez worked on his own mindfulness skills, honing his ability to control his attention and regulate his own emotions while receiving specific guidance on how to teach those same skills to the youth populations he’d be working with. Gonzalez also received training about the biology of the nervous system, child development, and the neuroscientific basis for mindfulness’s effects. Not all mindfulness programs are in schools like Gonzalez’s, where large numbers of students have been identified as disordered or disruptive, or struggle with mental-health problems and unstable living situations. Middlesex School, a prestigious boarding school in Massachusetts, requires that all incoming freshmen take a mindfulness course. The program, which was founded by an alumnus who used mindfulness to cope with both sports-related performance anxiety and T-Cell lymphoma, has proven popular among students. A vast majority—97 percent—of students surveyed in 2014 said they would recommend the course to others, reporting benefits ranging from better sleep and diminished stress to increased focus on schoolwork. Education reformers have long maintained that there is a fundamental connection between emotional imbalance and poor life prospects. As Paul Tough argued and popularized in How Children Succeed, stress early in life can prompt a cascade of negative effects, psychologically and neurologically—poor self-control and underdeveloped executive function, in particular. The U.S. education system’s focus on cognitive intelligence—IQ scores and academic skills like arithmetic—undermines the development of equally vital forms of non-cognitive intelligence. This type of intelligence entails dimensions of the mind that are difficult to quantify: It is the foundation of good character, resilience, and long-term life fulfillment. It is this part of the mind that mindfulness seeks to address. Efforts to implement mindfulness in classrooms haven’t always gone smoothly. Some parents and administrators have challenged its use in schools based on its religious roots—and in at least one instance even managed to shut a program down. As mindfulness is used more routinely in the medical sphere, these belief-based critiques are becoming less common. But the lack of evidence demonstrating the long-term academic impact of mindfulness has raised concerns about its role as an educational tool. Given the inherent nebulousness of mindfulness as a concept, and the grassroots status of the movement, these concerns are understandable. The lack of rigorous, robust, and long-term studies on mindfulness is what makes people like the Penn State University psychologist Mark Greenberg cautious. Greenberg works with the Collaborative for Academic, Social, and Emotional Learning—one of the groups at the forefront of the two-decade-old social-and-emotional-learning (SEL) movement. 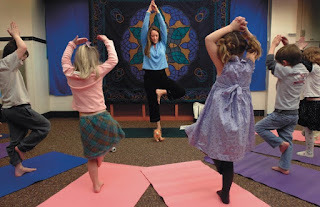 The mindfulness-in-education movement has a lot in common with, and in many ways complements, SEL, since both aim to teach children how to build self-awareness, effectively handle their emotions, and empathetically manage their relationships. 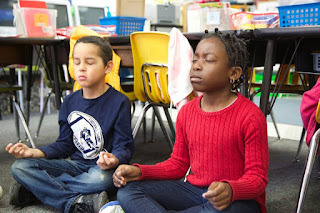 Unlike mindfulness, however, which takes more of an inside-out approach by helping students to slow down, intentionally focus their attention from moment to moment, and build compassion, SEL works from the outside in, teaching children a set of skills like how to mediate a conflict, or how to verbally express and explain their emotions to improve communication. Research shows that SEL programs alone have boosted kids’ academic performance, as well as benefitting them socially and emotionally—but many believe mindfulness should also belong in the SEL toolkit. Mindful Schools is aware of these criticisms, and is beefing up its research efforts. In 2012, the group worked with a University of California at Davis research team to conduct a randomized controlled study of three elementary schools in Oakland, California. 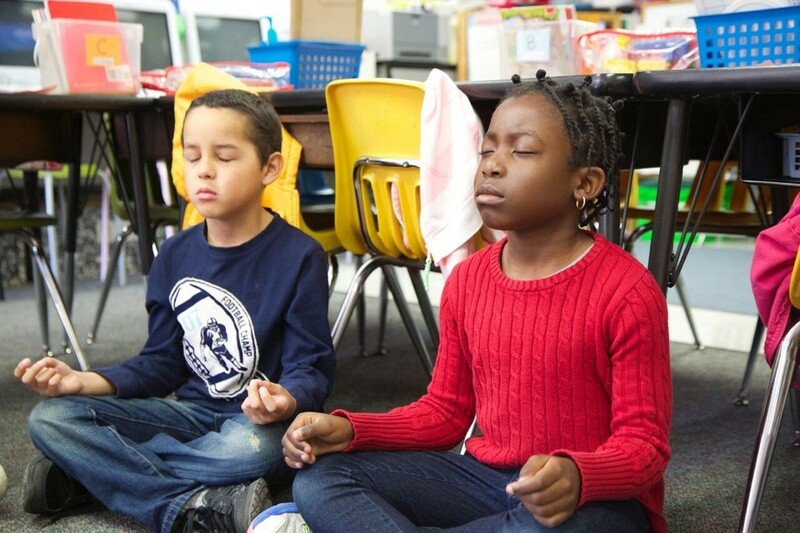 They sent in outside mindfulness instructors for 15 minutes, three times a week, to teach some classrooms but not others, and reported that mindfulness improved students’ behavior and ability to focus, as well as teachers’ sense of well-being—though the research design had several main points of weakness, mostly involving the challenge of measuring children directly rather than through teacher assessments. Mindful Schools’ new research director told me that the group is eager to conduct more studies that are even better-planned, focusing more on the efficacy of the kind of integrated training Gonzalez received. The field is so new that techniques evolve rapidly, constantly going through phases of trial-and-error—so it remains to be seen whether current or future findings can convince skeptics of mindfulness’s effectiveness. Gonzalez ultimately thinks that mindfulness may go furthest if applied to teacher education as a way to help prevent burnout—a major issue, given that 20 percent of teachers in high-poverty schools leave within their first year. Greenberg agrees. One of the ongoing research projects he and his colleauges are involved in is the Cultivating Awareness and Resilience in Education (CARE) program, funded by the U.S. Department of Education, that focuses on the well-being of the teacher and instructs teachers on emotional awareness, techniques for emotion regulation, and ways to apply these skills to teaching. Greenberg and others suspect that mindfulness specifically tailored to teachers and their struggles—stress and time management, for example—and incorporated into their initial training might do as much or more to improve classroom performance than trying to teach children directly. In its annual surveys, Mindful Schools has found that a majority of the teachers it has trained experienced lowered stress, more connection with students, and higher job satisfaction.